Veteran Uk Garage DJ, Presenter, Producer responsible for adding the jungle influence to garage back in 94 with his production partner (Six) they created 'Cape Fear, Kaotic Maddness" and more. 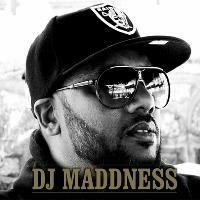 Continuing to reinvent himself for new audiences 'Maddness' has specialises in Garage music and Jungle music crossing markets and has a continuos love for music and his fans. With weekly shows on HouseFm.Net every Thursday 2pm-4pm UK Time. (Home of viral video episodes When You Remember How Real Garage Used To Sound) stacking up a combined millions of views.